In shallow dish, mix flour and seasoned salt. In medium bowl, beat eggs and beer with whisk. Place bread crumbs in large resealable food-storage plastic bag. In electric skillet or deep fryer, heat about 2 inches oil to 350°F. Coat both sides of fish fillets with flour mixture, then dip in beer mixture, letting excess drip back into bowl. Place 1 or 2 pieces of fish at a time in plastic bag with bread crumbs; seal bag and shake to coat completely. Fry fish in batches in hot oil about 4 minutes, turning once, until golden brown. Drain on paper towels. Serve hot. 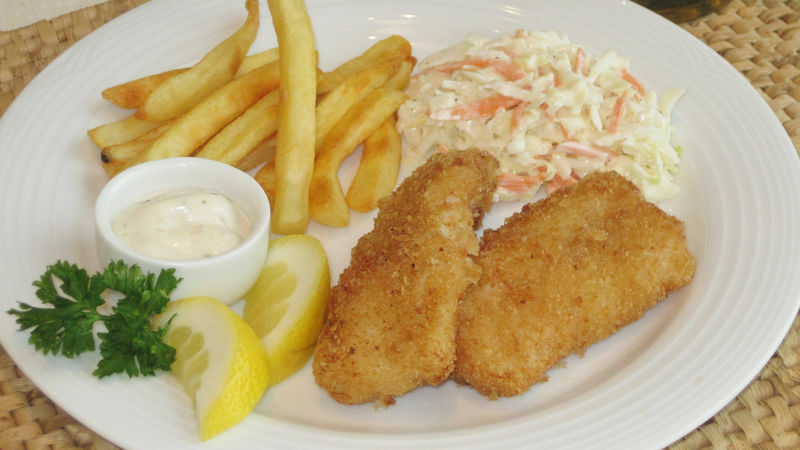 Serve the fish with tartar sauce, lemon wedges and your favorite sides. Panko bread crumbs are larger and coarser than most dry bread crumbs and are the secret to getting a really crisp crust on fried foods. Progresso® lemon pepper panko bread crumbs provide a flavorful alternative to plain bread crumbs. If you use them in this recipe, omit the seasoned salt.